An overturned property rights initiative formerly known as Measure 37 could rise again if voters approve two local ballot measures on May 15. Ballot measures 15-110 and 15-111 seek to reinstate rights gained under Measure 37, the property rights law passed in 2004 that provided a mechanism to waive land-use laws that resulted in a loss in land value. Measure 37 was overturned when Oregon voters approved Measure 49 in 2007. Frustration from many landowners over Measure 37's defeat gave rise to the two new ballot measures. Ballot Measure 15-110 would establish a charter amendment that would force Jackson County to defy the state against any future land-use regulations that reduce the value of properties. Ballot Measure 15-111 would require the county to protect the rights established under Measure 37, which have been rejected by the U.S. 9th Circuit Court of Appeals. "We didn't start this fight," said Jerry McCauley, chief petitioner for the ballot measures. "Almost 600 folks had Measure 37 approvals that got yanked away. They set us up for failure." But county officials say the ballot measures fly in the face of state law and will be quickly overturned in the courts. "They will not be enforceable, because they are unconstitutional," said County Commissioner Don Skundrick. If the ballot measures pass, the county would be placed in the unfortunate position of enacting the amendment, he said. "But then the state will come down on us and say it's not constitutional," Skundrick said. Conflict over land-use planning goes back to the 1970s, when Oregon began rezoning properties to protect farmland and open space from development. Property rights advocates, who disputed much of the state zoning, thought they'd turned the tide away from statewide planning when Measure 37 took effect, and many property owners believed they could finally develop their land. After Measure 37, McCauley said he was encouraged by the county to file a Measure 37 claim on his 240-acre property in Sams Valley, hoping to divide it into more than 40 parcels. He said he spent $400,000 and jumped through various bureaucratic hurdles, which he thinks were an effort to stall his plans to develop. After Measure 49 passed, McCauley said his investment was wiped out along with his dreams to build a compound on his property for his extended family. McCauley, 68, who is involved with Americans for Prosperity of Jackson County, said he thinks voters will support the measures, but acknowledges the issue will probably head to the courts. "I don't think it's a problem getting it approved," he said. "It's what happens afterwards that will be the problem." Jackson County commissioners initially supported Measure 37, encouraging residents to file waivers. The state calculates 578 waivers were approved here, totalling in excess of $500 million in potential claims. Court battles are still ongoing, pitting the Board of Commissioners against the landowners who formerly supported them. Steve Rouse, an Applegate opponent of Measure 37 and the two new ballot measures, said the new measures go well beyond the scope of Measure 37. 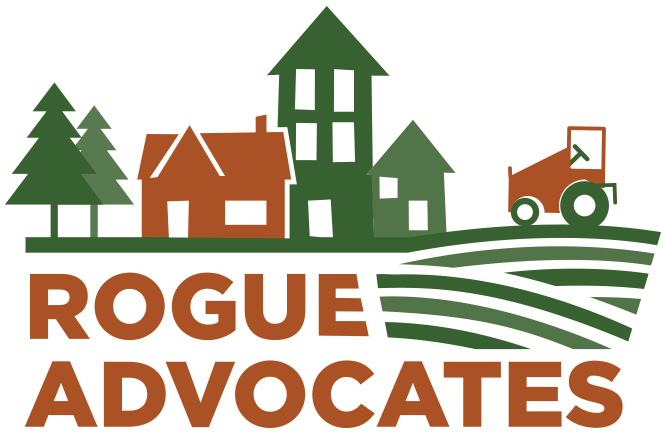 Rouse said the county wouldn't be able to enact any land-use laws, because the laws would trigger claims being filed by affected property owners. And the county would be in the position of constantly fending off lawsuits filed by the state over local land-use issues. "It's just too much," he said. Rouse said voters ultimately rejected Measure 37 because it aggressively sought to overturn years of land-use laws that protect open space and farmland. Commissioner C.W. Smith said he was a supporter of Measure 37, but Measure 49 changed everything. He said the county would be in violation of state law if it continued to support the Measure 37 waivers. Though he understands the frustrations of many property owners, Smith said he doesn't support the two new ballot measures because they would further confuse the situation, costing time and money for legal challenges. "Based on their definition, we would have to compensate everybody for Measure 37," he said. Reach reporter Damian Mann at 541-776-4476, or email dmann@mailtribune.com. It’s great to here that rights will be restored with immediate effect. Since the act was restricted in many ways, it made the voting difficult for most of the guys. Thanks to you for sharing this good news to us. http://www.gamblingsecond.com	I enjoyed reading your article and found it to be informative and to the point. Thank you for not rambling on and on just to fill the page. As the weather turns colder, we cannot help but to think about the upcoming holiday season. We dream of jolly carolers, luscious holly, and crowded shopping malls. This is really a nice article we are giving cheap seo services at http://www.cgomedia.com/seo-manchester/ check them out. I think bailout packages dont help the economy but a good long term planning does. recruitment-career provaided job information including how to apply. jobsdhaba.com in provides you info of all the jobs and opportunities. Nice Site really Your work is really great and too useful. I enjoyed visiting your site. You have done a truly excellent Job. I have also found a great website now want to share with you. http://allindiatopjobs.blogspot.com provides you regular updates of all government jobs and private jobs which are released all over India. Two local ballot measures is an important, it can benefit people in many ways. According to http://www.dissertationclub.co.uk/ people should move on to this point and accept it.